Kantrida is an area chosen by Rijeka’s youth 90 years ago for their sports activities. Former sports club "Viktorija" from Sušak started playing football in an abandoned stone-pit in Kantrida. Not far from the football field, by the sea, Swimming Pools Kantrida was built in 1972, thus making it possible for sport clubs to practice swimming and water-polo. In the course of many years outdoor pool was used by athletes of Primorje sports club, many of which brought medals to Rijeka from the Olympics and other world and European championships. 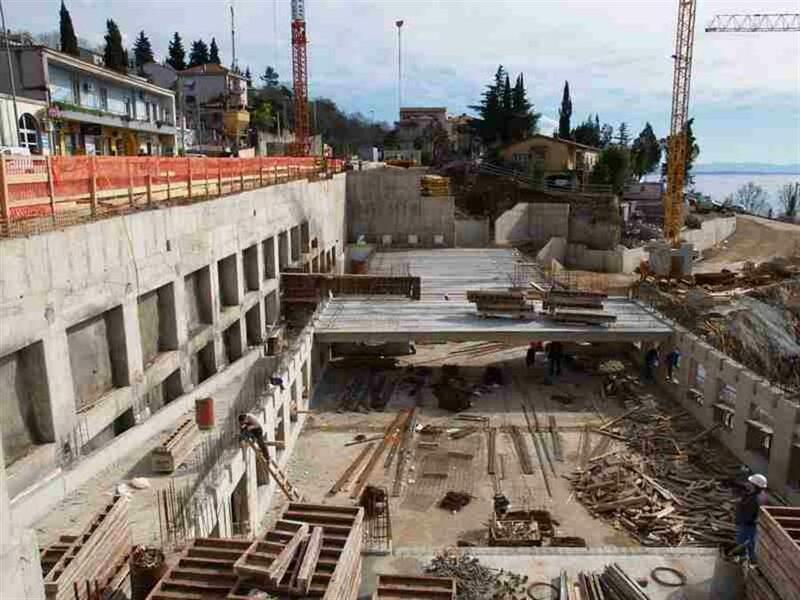 However, capacity of former pool became too small for athletes' needs and City of Rijeka started building a pool, not only to encourage development of sport, but also to give all its citizens new recreational and amusement programmes. 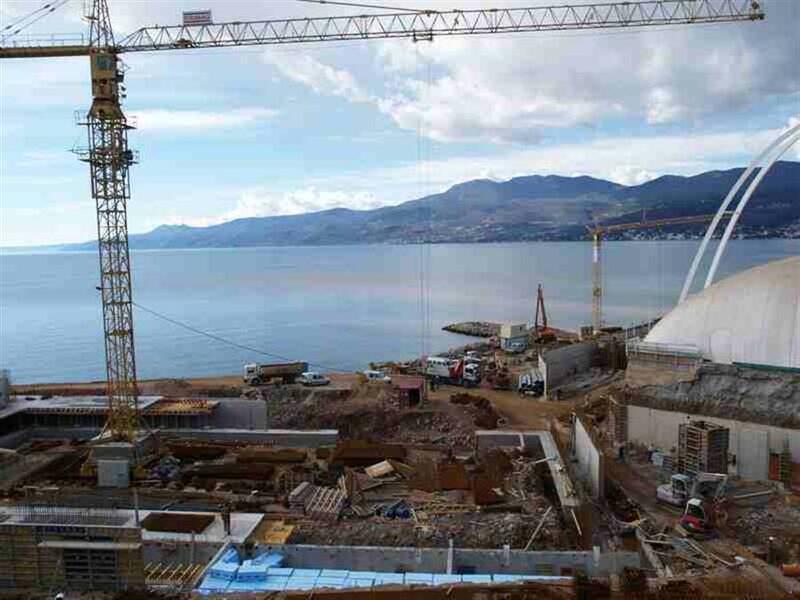 In order to secure funds for building the pool complex, the City of Rijeka issued municipal bonds. 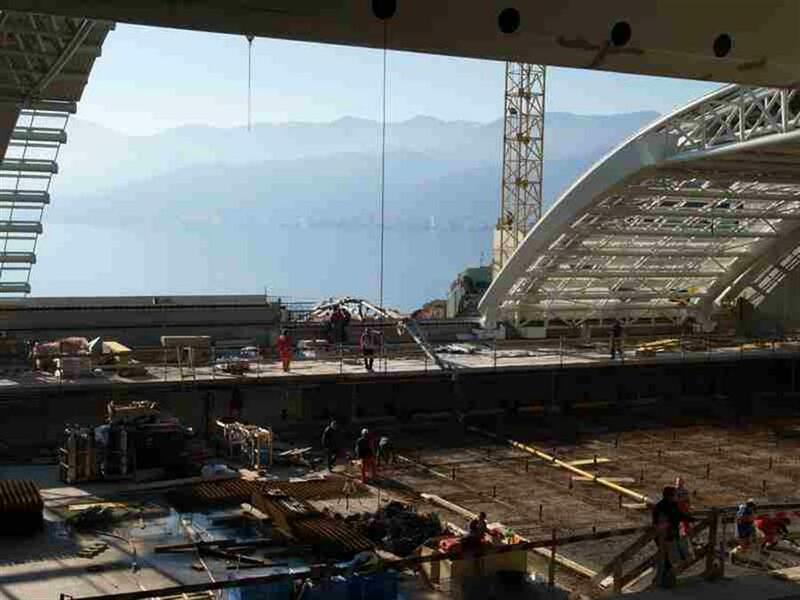 Among other investors, citizens of Rijeka also participated in buying bonds and in that way got involved in building the new complex and at the same time started a new way of saving money. Through public soliciting for construction of the pool complex (without diving pool and reconstruction of the old pool), the joint offer from Strabag, Zagreb, Strabag AG – Spittal/Drau from Austria and GP KRK from Krk was accepted. The first works at the pool complex were initiated in July 2006. March 2005 saw the construction of the power plant and in March 2006 the work on the public garage started. 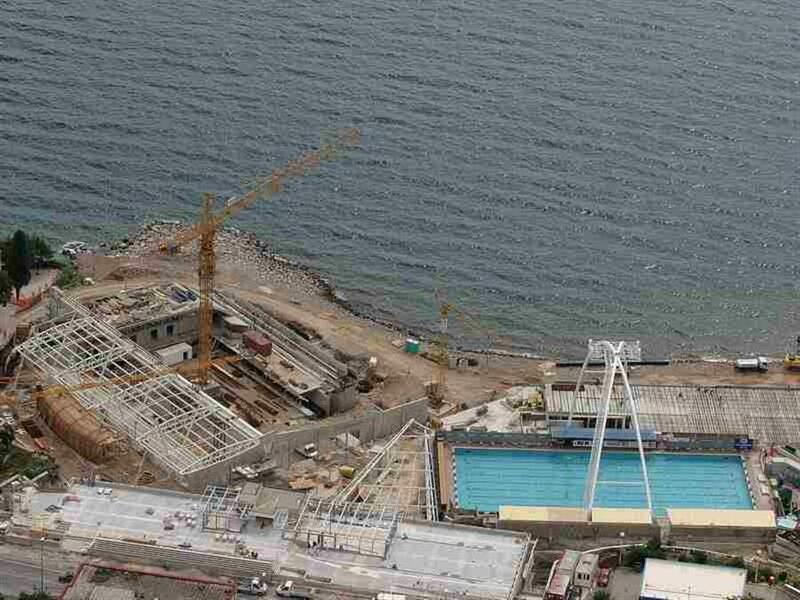 In May 2008, city government approved the transfer of investment funds to Rijeka Sport Ltd. on account of reconstruction of the existing and building of new sports and technical culture facilities, among which were the final phases of Swimming Pools Kantrida , such as reconstruction of the existing pool, arranging the beach and diving pool construction. Reconstruction was entrusted with up-to-then contractor of Swimming Pools Kantrida and performed from August till November 2008. 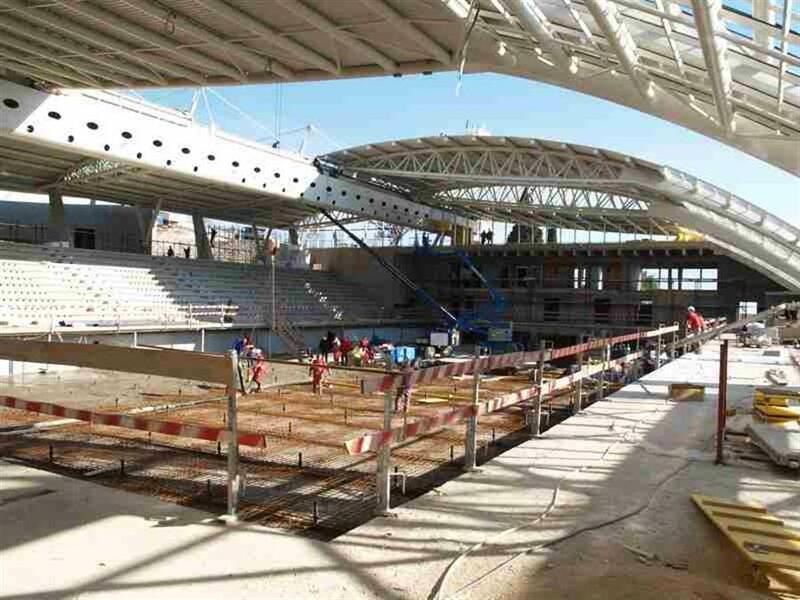 Swimming Pools Kantrida is the first big sports facility built in Rijeka in more than 30 years. It was presented to athletes and citizens at the magnificent opening on 24th July 2008. Opening of the complex was the best way to celebrate 100 years of Sports Association Primorje, the swimming and water-polo club and synchronized swimming club. Swimming Pools Kantrida passed their first big test with flying colours in December 2008. The new complex hosted 12th European Short Course Swimming Championship. Forty European national teams took part. In 2008, the old pool was reconstructed and three more swimming pools with additional facilities were built. Since 2011 professional and non-professional sportsmen can even use the recently constructed diving pool, walk along the promenade or lay out at the beach. Confirmation of quality and functionality is a special award received at the international level. International Olympic Committee (IOC) and International Association for Sport and Recreational Objects (IAKS) have awarded the complex with bronze medal in category of water sports objects and Swimming Pools Kantrida have been given a special award (IPC Distinction) from International Paralympics Committee, awarded to sports objects adapted for the use of disabled persons. Infrastructure brought a new quality of life to residents of this part of the city in terms of re-built water supply and drainage system of Kantrida and Turnić area.